Getting started with you first budget can seem like an overwhelming task. Especially if you have a lot of bills and a lot of spending. Broken down into small pieces, the task is much more manageable. I recommend you start by categorizing all of last months expenses. We went over that process in detail in this article: Best Way to Track Personal Expenses. 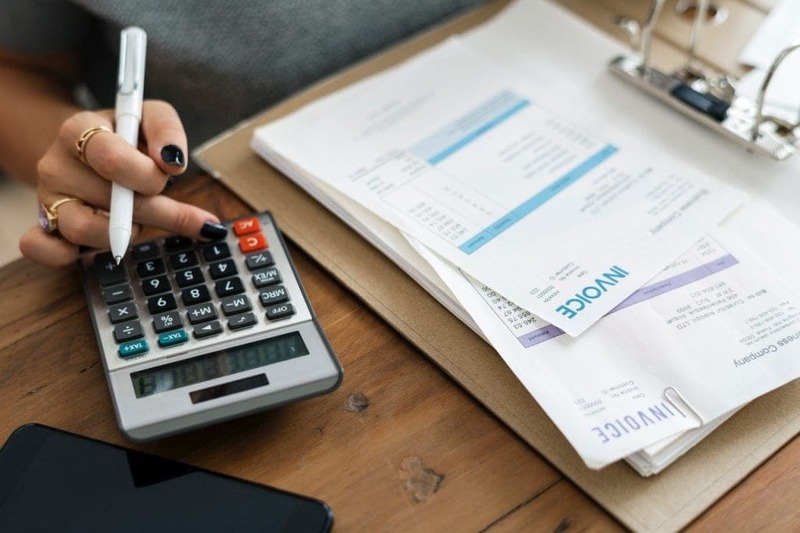 Once all of your expenses are categorized, you’ll be ready to start. 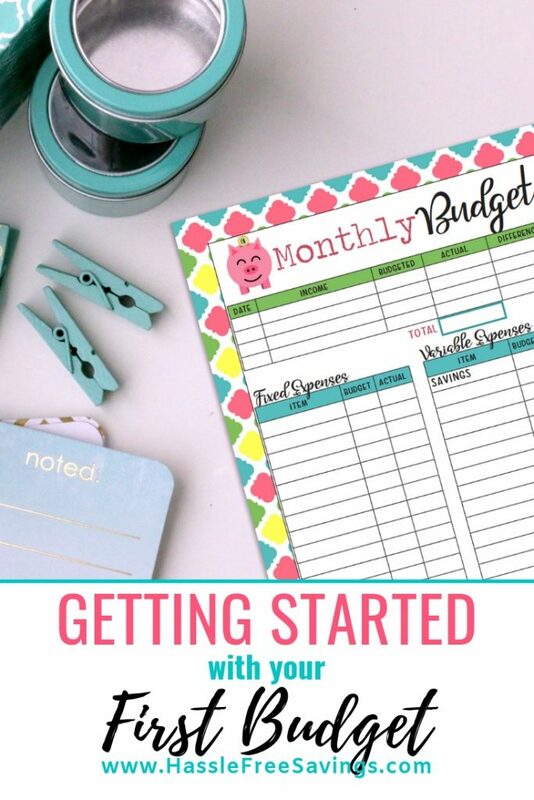 Hopefully, you’ve done the previous exercise and now have all of last month’s expenses categorized, we’re going to create a “budget” for last month. This might seem like an excessive step but I truly believe that knowing where you have been, how bad things were, will help you stick to a budget in the future. 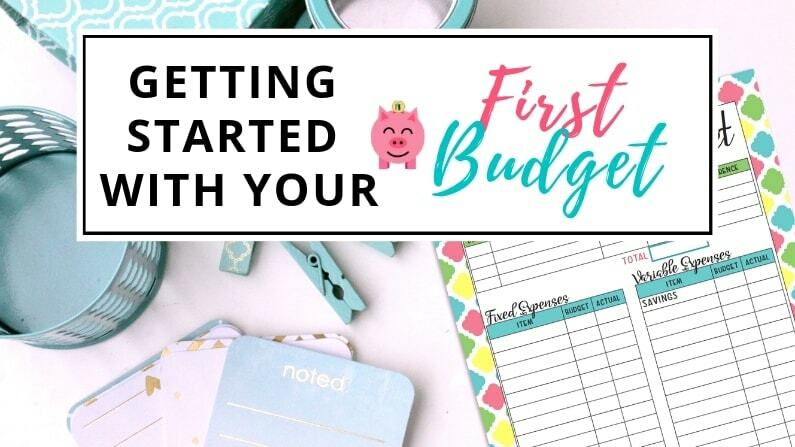 For this step, you can use just a pen and paper or feel free to use the free budgeting printable I’ve created for you at the bottom of this page. Both will work the same, mine’s just prettier! Your going to go back through your statements and tally each category. We’re going to use more than just the five categories this time. We’ll break bills out into what they are and we’ll categorize shopping trips as best as possible. All of the items we didn’t highlight will need to be categorized as well. Don’t worry, we’ll create a category for “I don’t know” for those transactions you really can’t remember what they were. We’ll fix that this month, but don’t stress about it last month. You can’t change what you spent or where you spent last month, we just need to get the numbers to move forward this month. 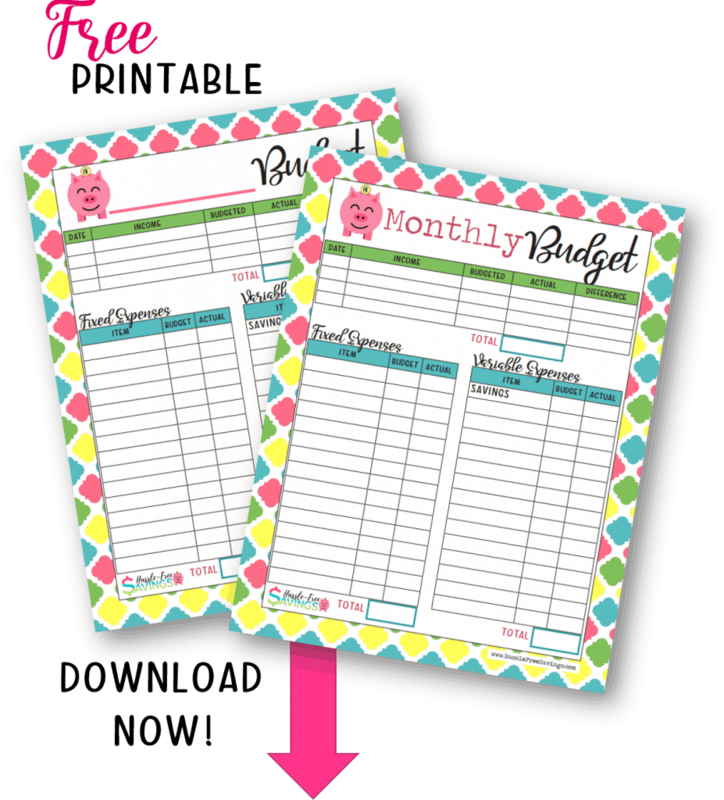 Last month’s budget worksheet will hopefully be an eye opener for you. There should be evidence of spending patterns. Maybe you have $325 spent in the “I don’t know” category, or you didn’t realize how much you truly spent at fast food all month long. Whatever the case may be, remember, it’s OK. That is the point of this exercise. Don’t get overwhelmed now. Now that we’ve looked at your spending habits, we’re going to create a budget to get you and your family back on track. Writing down numbers in a notebook or your smartphone won’t really help you unless you have a plan. The next step is to determine what your monthly budget should be. Remember that you should create a realistic estimate and don’t be afraid tweak it for the first few months until you get it right. Creating a budget will help you cut down on spending. I highly recommend involving anybody in the family that has access to accounts and spending. If you have a spouse or partner, get them involved in this step if at all possible. The best way to succeed at a new budget is for everyone to be on the same page. Start by listing out all of your essential bills. These are items that HAVE to get paid no matter what. Things like your mortgage, car insurance, electricity, etc. This is not Pandora, your Gym Membership, Netflix or your monthly car wash subscription. Keep a calculator handy or just a scrap piece of paper to track your totals. 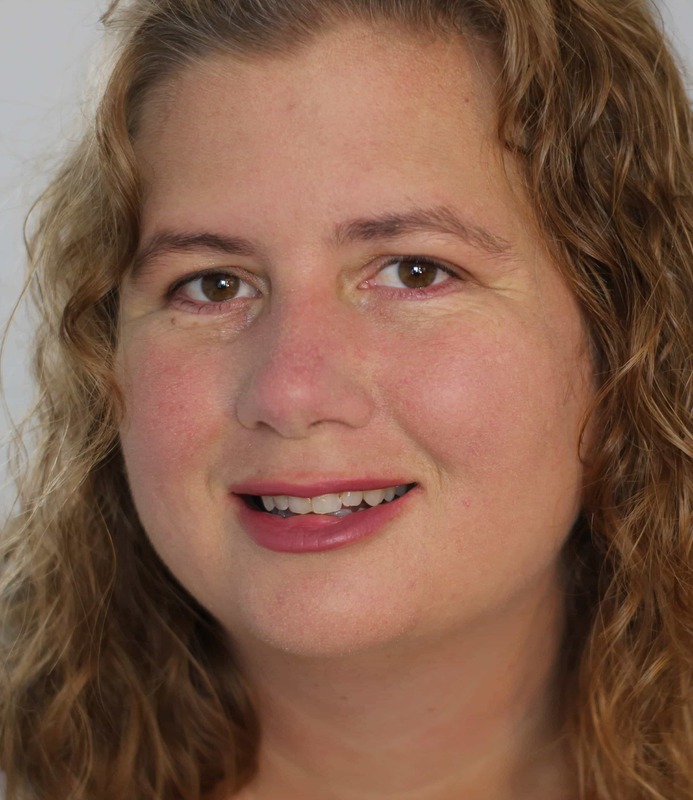 You are going to want to subtract each budget item from your total income as you go along. This way, at each step you will know how much money you have left to budget. For any bills that are variable, like water or electricity, start by using last months numbers and make a conscious effort to reduce use during this month. These are the essential variable items like groceries, gas, and household goods. Since the cost of these items vary from month to month it can be difficult to set a number. I would recommend you take last months number and reduce it by 20% as a starting point. Your budget is going to be fluid for several months until you figure out what numbers work for you. This is just an idea for somewhere to start. Remember to keep track of how much you have left to budget. You don’t want to forget to budget for your debt. Ideally, in the future you will want to work on paying off your debt. For now, we just want to make sure you at least pay the minimums. Write down each credit card or debt, the APR, the due date and the minimum payment. Your goal this month is to NOT use your credit card for any spending, and to at least pay your minimums.If you want to start debt payoff this month, great, budget for that too. Just use caution, you don’t want to try too much all at once. If budgeting is new to you it is OK to just start with the basics. Now that our essential items and minimum debt payments are taken care of you want to take a close look at all of your non-essential bills. What do you want to keep and what can you get rid of? Do your really use Netflix? How many times did you go to the gym last month? Did you listen to Pandora? It doesn’t matter how big or small the bill is, what matters is do you use it and do you need it. As you add items to your budget, remember to keep a tally of how much money is left to budget. This number has been getting smaller and smaller and we have one whole category left to go. What did you spend on these items last month? How can you save on them this month? Can any be eliminated? Can they be reduced? I would caution you to, initially, not completely eliminate items you spent the most in last month. Dining out, for example, is something people tend to spend a lot on. Instead of eliminating it, budget for a 20 – 30% reduction in spending if you have the funds available. I want to reiterate that making too many huge changes in spending habits initially may lead to failure. We want to make sure your budget is doable this month so don’t feel the pressure to cut everything. Take it slow, this is a long-term project. After budgeting for essential and non-essential items, anything left over should go to savings or debt payoff. There are going to be a high percentage of people that won’t have anything left after going through the items above. That is OK. Even if there is nothing left of your income when you get to this step I want you to budget for it. Cut $1.00 from somewhere else and put it in this category. You have to start somewhere and being conscious about it each month will serve as a reminder for why you are budgeting in the first place.